"You do not believe me, this I can see. But it does not matter whether you believe or not. It does not matter if you think I am crazy. It does not even matter if you know anything about it...If you can see past yourself, you will just fall into another time." 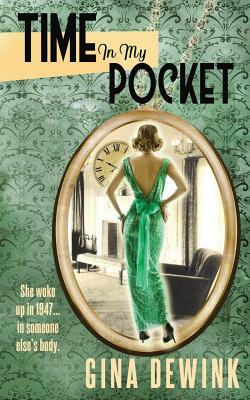 When Liza Anderson looks into a locket's mirror, she suddenly finds herself in a younger woman's body in 1947. Believing she has traveled more than 60 years back in time, Liza comes face to face with the reality of life during the golden age of Hollywood--glamour, communism, smallpox and all--only to discover that the Barbara Jane Miller she's become is caught up in a drug-selling scheme that could get her killed. Will Liza survive the dangers of her new world? Will she ever return to her own time and the children she left behind?